FLUSHING, Queens (WABC) -- The tenants of a Queens apartment building got a slithery start to their Sunday after a seven-foot python was found unattended in the building. 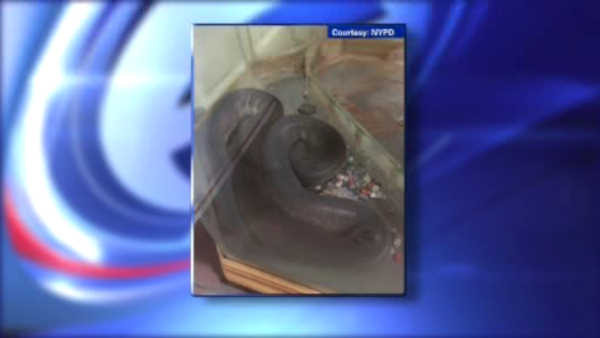 The snake was found Sunday morning in a building in Flushing. Police say it was inside a cage, and was left near a trash chute. The snake was taken to the Bayside Animal Clinic, where it was picked up by its owner. Fortunately, no one was injured by the snake.